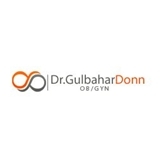 Dr. Gulbahar Donn (Elmhurst) - Book Appointment Online! I went to Dr. Donn for my annual checkup. Dr. Donn was efficient, professional and personable. She asked me questions and made me feel comfortable during my visit.